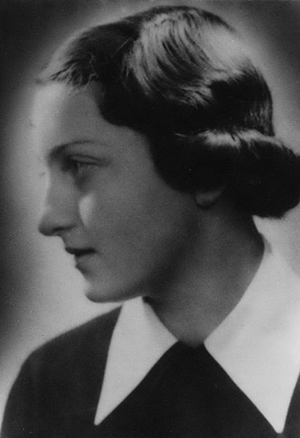 Hannah Szenes (often anglicized as Hannah Senesh or Chana Senesh; Hebrew: חנה סנש‎; Hungarian: Szenes Anikó; July 17, 1921 – November 7, 1944) was one of 37 Jews from Mandatory Palestine parachuted by the British Army into Yugoslavia during the Second World War to assist in the rescue of Hungarian Jews about to be deported to the German death camp at Auschwitz. Szenes was arrested at the Hungarian border, then imprisoned and tortured, but refused to reveal details of her mission. She was eventually tried and executed by firing squad. She is regarded as a national heroine in Israel, where her poetry is widely known and the headquarters of the Zionist youth movements Israel Hatzeira, a kibbutz and several streets are named after her.